Coinchek, a Japanese cryptocurrency exchange has launched its Over-the-counter (OTC) trading desk wherein the platform is debuting XRP and ETH as the first altcoin listing. Per the announcement released on April 15, 2019, Coincheck’s OTC trading desk will offer trading services beyond Bitcoin. The platform had launched its OTC desk in early this month and the listing of two more cryptocurrencies including XRP has attracted a huge community. Although the exchange announces two altcoin listing but doesn’t reveal at what priority will be given. It is worth to note that the exchange was earlier stuck with half a billion dollar hack incident but it was able to continue operation in Japan after the acquisition of an online broker ‘Monex Group’ in April 2018. Moreover, it succeeded Japanese regulatory license for Coincheck in December 2018 which enabled exchange gain user’s trust. 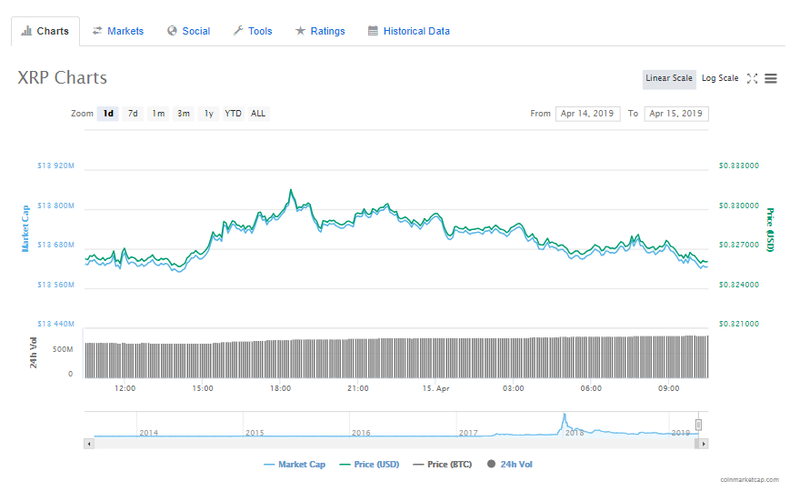 To note, XRP, the third largest cryptocurrency is showing green momentum with 0.06 percent growth over the past 24 hours. Moreover, it is trading at the value $0.032 against the US dollar and the average trading volume counts at $13,629,105,776. Nevertheless, Coincheck isn’t the first platform to choose XRP to its OTC trading desk, in early March 2019, Huobi exchange also listed XRP to its OTC platform.